Inspired by the beloved film, the romantic and adventure-filled new musical My Fair Lady comes to Lincoln Center. 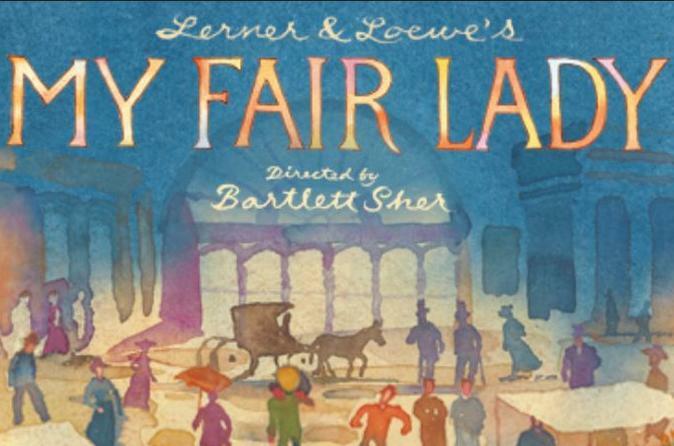 Adapted from George Bernard Shaw’s play and Gabriel Pascal’s motion picture Pygmalion, MY FAIR LADY, with book and lyrics by Alan Jay Lerner and music by Frederick Loewe, premiered on Broadway on March 15, 1956. The legendary original production, directed by Moss Hart and designed by Oliver Smith and Cecil Beaton, starred Rex Harrison and Julie Andrews, won 6 Tony Awards including Best Musical, and ran for 2,717 performances, making it, at the time, the longest-running musical in Broadway history. The classic score includes: “I Could Have Danced All Night,” “Get Me to the Church on Time,” “Wouldn’t It Be Loverly,” “On the Street Where You Live,” “The Rain in Spain,” “I’ve Grown Accustomed to Her Face,” and more.